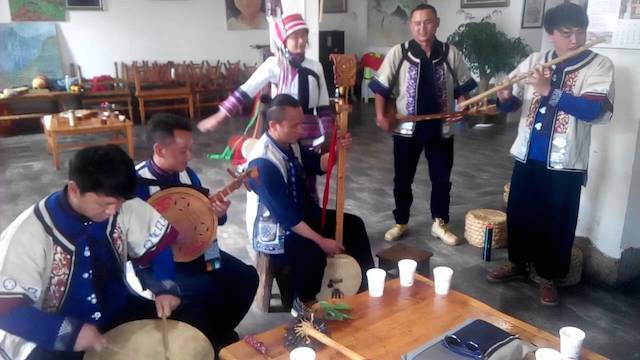 The ethnic and cultural diversity of the world’s most populous country is often overlooked in an age where media images of grey conformity, polluted cities and military parades dominate our impressions. However, music—like almost nothing else—has the power to capture the imagination and promise a different world beyond these images. 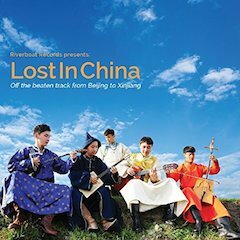 Lost In China is a compilation of music that blows away stereotypes of what Chinese music can be, revealing the ethnic patchwork that lies quietly below the surface of the national narrative and leaving us wondering if we really know anything about this country at all. As a new generation of Chinese struggles to define itself in the modern age, a determined new voice is emerging. It can barely be heard over brash punk rock, electronica and mandopop, but if you listen carefully—the tinkle of a lute, lilting and mesmerizing, is quiet yet persistent. ‘Incantation,’ Wild Children, ‘who walked out of the deserts of Gansu in the ‘90s to capture the imagination of the generation and help lay the foundation of Chinese alternative music,’ from Lost in China. This album features artists that are seminal in this movement alongside undiscovered gems, barely known even in China. From the best-known to the least, none have been heard overseas before, from the Wild Children, who walked out of the deserts of Gansu in the ‘90s to capture the imagination of the generation and help lay the foundation of Chinese alternative music, to the shy folk ensemble Manhu, who’ve rarely been seen outside of their Stone Forest enclave in Yunnan. Whether it is South City Second Brother, capturing the spirit of Beijing’s street opera or Kox, a group of professional Kazakh musicians playing traditional music in their spare time that they never thought anyone would be interested in hearing, these are artists who have been waiting to redefine China’s musical relationship with the world. So prepared to be bewildered and intrigued. Forget everything you thought you knew. Throw out the roadmap and get Lost in China.